How Often Should I Wash My Lace Wig? "How often am I supposed to wash my lace wig?" A lot of folks ask questions that start with "Can I wash my lace wig with...? ", or "Should I wash my lace front wig after...? ", or "Can I wash my dyed lace wig with...? 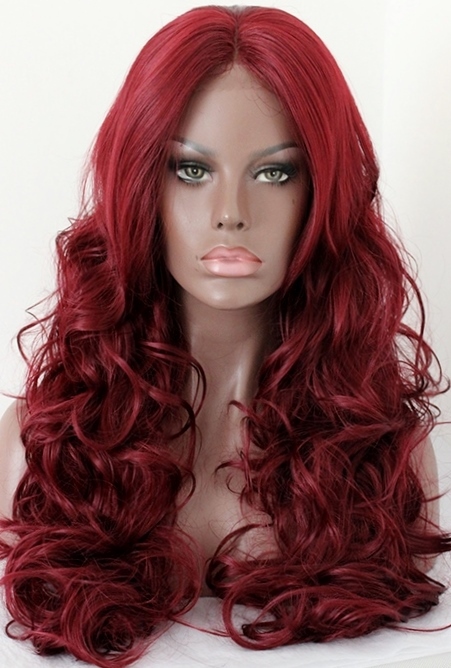 "; so it seems the time to put all those pesky lace wig washing questions in one article. The easiest way to think about it is to think about how often you would wash your growth hair or if you no longer have growth hair, how often you used to wash it and which activities (from the list below) influenced how often you wash(ed) it. If you wear your lace wig every day, then it should be washed at least every two weeks. You should wash the lace wig at least every two weeks if you wear it every day and have growth hair. If you wear it every day and use lots of styling products every day (hairsprays, mousses, gels) then you should wash the lace wig at least once each week. "My lace wig is dyed; can I use a clarifying shampoo?" The short answer is yes; the longer answer is yes but infrequently; and the longest answer and probably most helpful answer requires a short story on clarifying shampoos… so if you’re sitting comfortably, we’ll begin. Clarifying shampoos are designed to remove lingering (stubborn) build up from your hair. Clarifying shampoos are sometimes called deep-cleansing shampoos or purifying shampoos and their purpose is to extract all those hard to remove substances found hair styling products such as mousse and gel residues, hair oils, slip agents, thickeners, silicones and waxes as well as anything else that isn’t removed by regular shampoos… In fact, clarifying shampoos remove deposits left behind by regular shampoos and conditioners. Clarifying shampoos contain more cleaning agents (surfactants) than ordinary shampoos which is why they produce more foam and suds in order to thoroughly clean hair. This means that dyed hair, whether on a lace wig or straight out of your scalp can fade more quickly if washed frequently with clarifying shampoos. Using an SLeS and SLS free clarifying shampoo is better for hair but the deep cleansing purpose of clarifying shampoos means they can still contribute to fading of dyed lace wigs. "How often should I wash my lace wig if I play sports?" If you participate in physical activities that mean you perspire heavily, then you should wash the lace after each of these activities – it needn’t be a “big wash”, rinsing the hair with a small amount of mild shampoo (or your chosen hair cleanser) is enough. "Do I have to wash my lace wig after swimming at a beach?" You should wash your lace wig immediately after swimming, whether in open water or a chlorinated pool. In these instances it may be better to choose a clarifying shampoo as these are designed to remove salts and chlorine. Better still, an SLS or SLeS free clarifying shampoo and www.bestclarifyingshampoohq.com/sulfate-free-clarifying-shampoo/ outlines some of the sulphate free clarifying shampoos on the market. That's the wander through washing lace wigs wrapped up.